MFA Film Program at New York Film Academy (NYFA) is an accelerated two-year program made possible by an extended academic year. Candidates will complete three full-length semesters in each calendar year. 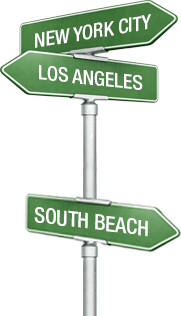 The Film Program, along with other MFA degree programs, are offered at our Los Angeles and South Beach Campuses. Qualified candidates have the option of completing course work at the New York Film Academy in New York City in a one-year non-degree program and then applying their course work to be accepted for advanced standing in the MFA Film degree program. No previous experience is required for NYFA’s Filmmaking School; however, MFA Film candidates must work with self-discipline, energy, and mutual respect. As in all New York Film Academy programs, hands-on learning is emphasized. We believe that Film directing classes are not theoretical explorations; they are practical classes designed to put candidates in the director's chair as quickly as possible. Candidates are encouraged to take creative risks and find their own voices as visual artists. The MFA Film program offers candidates over 2,000 hours of hands-on instruction and production experience, whether they choose to complete 76 or 79 credits. Throughout their time here, our MFA Film candidates will shoot projects on 16mm film, 35mm film, High-Def, Super 16mm, and the RED Dragon camera system. All projects are edited digitally. By the end of the MFA Film program, our graduates are expected to build a holistic skillset that includes all major aspects of the filmmaking craft, gain an enormous amount of production experience, and create 10 films of their own. Beginning on day one, our MFA Film candidates participate in an intensive sequence of classes in Film Directing, Screenwriting, Cinematography, Digital Editing, Directing Actors and Production. While the theory they learn in the classroom is important, the heart of program is the production of original, short 16mm films. Candidates will team up to make these films, working in crews of three of four where each candidate will gain experience in writing, producing, directing and editing. While working on each other’s films, MFA Film candidates will fill essential roles such as director of photography, assistant camera operator, and gaffer (lighting technician). This rigorous and holistic approach to filmmaking means that candidates leave the program with an understanding of every single part of the filmmaking process that will make them capable as a director and artist as well as flexible on set. Once MFA candidates master traditional film, they will move to using digital video technology. Each individual candidate will direct two digital projects. These projects and in-class production workshops will challenge them to explore the dramatic mechanics of motion picture storytelling, and the critical collaboration between actors and directors. Supporting classes include Screenwriting, Directing Actors, Directing, and Digital Production. These classes and projects prepare our candidates for their second and third semester, and production of their intermediate films. The MFA Film curriculum integrates intensive study in all the major filmmaking disciplines, including directing, cinematography, screenwriting, producing, and editing. Our film graduate program is for people who have the passion to plunge into full-time filmmaking, and to commit themselves to a focused and demanding curriculum. In addition to writing a feature length script of 90-120 pages, MFA Film candidates will also produce 10 films through the duration of the program. Mise-en-scène For their first production, candidates will be introduced to mise-en-scène, or directing a shot to visually tell a story. Once they create a dramatic moment, they concentrate on the dynamics of the shot that will best express it. This project teaches candidates how the visual relationship between the subject and the camera creates drama. Each candidate designs and shoots a scene that has a beginning, middle, and end. Candidates will learn to pay close attention to the choice of lenses, distances, and angles. Since the story will be told within one long shot, it must be staged to express as much as possible about the characters and their actions. Candidates should rehearse the shot for blocking of actors and camera until the scene works without needing to stop; only then should they roll film. Candidates will each shoot one roll of black and white reversal film, then edit and screen their films for critique and discussion. Students shoot two rolls of film then edit and screen their films for critique and discussion. Music & Montage Film The third project in the MFA Film program curriculum introduces candidates to the relationship between sound and film, as well as to narrative tools like montage and jump cuts. In this project, candidates are encouraged to explore a more personal form of visual storytelling, where they can choose a piece of music for their artistic expression. In the editing room, they cut their images to work in concert with, or in counterpoint to, the music. Candidates should experiment with rhythm and pacing. Each candidate writes, directs, shoots, edits, and screens a film of up to four minutes. In addition to storyboards, candidates may use a still camera to plan their films. This assists them in their choice of locations, angles, and lighting. Scenario, shooting script, storyboards and floor plan. Analysis: intention, realization, mistakes, crew work. There are two weeks of post-production. Candidates may use sound effects, music, voice-over and ambient sound to help tell their stories. The final project may be from three to10 minutes in length, keeping in mind that "less is more." Films may be of any genre and can be narrative, documentary, or experimental. This film project may be shot on 16mm film or digital video. Screening time: three to 10 minutes. POV Each shot in a film expresses a point of view, and in narrative film the point of view changes often, sometimes with each new shot. For the most part, point of view -- which is often called narrative stance -- is largely invisible to the audience, though the accumulated effect of changing point of view profoundly affects the way the audience interprets any scene. For this production, MFA Film candidates will analyze different ways to create a point of view through visual means: POV shot construction, camera placement and the 180-degree rule, shot size, shot constructions (such as over the shoulder construction), in depth and linear staging and blocking, lens choice, and sound design, etc. The POV project is designed for candidates to explore the various techniques directors use to create a character's point of view in a scene. Candidates create a short two-minute scene containing minimal dialogue and no more than two characters with conflicting objectives. The director will create two versions of the script and edit two distinct versions of the scene. Each should visually present the viewer with a clear and distinct point-of-view. Semester One Film The first semester of the MFA Film program will conclude with a narrative digital project. This film should build upon the lessons and techniques candidates have learned in their Acting for Directors classes, production workshops, and the POV film. It should be a performance-driven film with no more than three characters and one or two locations. The "story time" of the film should be limited to minutes or hours, not days, weeks, or years. Candidates also have the option of producing a documentary film as a digital dialogue film. Year One Film This project is the culmination of the year's work. Each candidate's goal is to produce a fully realized short film that demonstrates their own artistic vision and point of view. Candidates work with larger crews and have more time allotted for pre-production, production and post-production than in previous projects. All second semester classes assist candidates to prepare for this project — including the producing class, which is specifically designed to guide candidates through the pre-production of this project. Candidates must prepare detailed production books and receive a "green light" from the faculty to check out equipment for their shoots. Each candidate can choose to shoot this film in one of three formats: high definition digital video, 16mm film or 35mm film. Advanced Directing Project For this production, each candidate will write and direct a self-contained short scene from their upcoming thesis film on digital video. Throughout the course of the semester, each candidate presents their scene in class, using professional actors from the community. Advanced scene work and performance techniques are refined in each class session with the directing instructor. This project allows the candidates to refine their integration of script analysis and directing actors skills before embarking on their more ambitious thesis projects. Allotted shooting time: one day. Editing time: up to one week. Advanced Cinematography Project As part of the class Cinematography III, each candidate will conceive of a complex shot to be executed on a sound stage using the advanced equipment package that includes the Red Camera, HMI lights, and industry standard dollies from Chapman or Fisher. This project will challenge the MFA Film candidate to incorporate this equipment into their creative tool kit as they bring their command of lighting, composition, camera movement, and blocking to a higher level. These advanced cinematography projects are conducted on a Universal Studios Sound Stage using complete sets and production design. Allotted shooting time: half a day. MFA Short Film Thesis MFA Film candidates who choose this option will complete their degree in 76 credits. Candidates will direct and edit a short film up to 30 minutes in length, and fill essential crew positions on short films directed by their peers. The MFA short film thesis is the final capstone project of the MFA program, combining all the skills learned thus far into a single project of up to 30 minutes in length. This thesis film functions as the calling card project for MFA Film candidates, enabling them to demonstrate their creative vision and professional skills to film festivals and the larger community of the entertainment industry. Filmed using the entire advanced equipment package including Red cameras, HMI lighting and industry standard advanced dollies, these projects have the necessary equipment and longer production period to allow filmmakers to work on both more detailed and nuanced levels, and with a larger scope. Allotted shooting time: 10 days. Editing time: up to eight weeks. Screening time: up to 30 minutes. Optional MFA Feature Thesis Due to the extremely demanding nature of this thesis option, only selected MFA Film candidates will be eligible for this option. Candidates interested in this production must start their application in semester three and enroll for a fifth semester with an additional tuition payment. Before feature thesis production can begin in the fifth semester, candidates must achieve specific milestones in semester four in order to maintain active status in the feature film program. If these milestones are not met, candidates will revert back to the short film thesis track and complete their short thesis in semester five. Required milestones will include: a clear template of delivery dates for script deadlines, casting calls, production meetings, budget breakdowns, location lockdowns, and a demonstration of financial responsibility to obtain approval to shoot. Candidates who meet all the requirements will be eligible for a faculty review to determine if they can further pursue the thesis. Candidates admitted to this track will direct and edit a feature length film in a fifth semester of study at the end of the second year, also filling essential crew positions on short form films directed by fellow candidates. To complete their feature film thesis project, candidates must perform key crew positions on their classmates' films, including: cinematographer, gaffer, sound recordist, assistant director, and assistant camera. Learn the art and technique of visual storytelling, including directing, cinematography, editing, and postproduction sound design. Learn the fundamentals of digital video production and digital editing. Fundamental training in acting craft and directing actors. In this course, students begin to learn the language and craft of film aesthetics from a director's perspective. They learn to integrate several concepts from the arts, the behavioral sciences, and the humanities to achieve maximum psychological impact by studying the director's decisions in camera placement, blocking, staging, and visual image design. This course requires that students challenge themselves not only to become competent directors but also compelling storytellers by utilizing the advanced expressive visual tools to tell their stories. Instructed by directors practiced in the art of visual storytelling, students are exposed to the unique ways that directors stage scenes and choose particular camera angles in creating a sophisticated mise-en-scène. Through intensive in-class exercises, students shoot 16mm film and learn the complexities of film exposure, the psychological effect of focal lengths, and the use of advanced lighting techniques to evoke a story’s mood and tone. As students incorporate dialogue, they also learn the technical nuances of shooting and lighting high definition video on Canon 5D cameras. Students are taught multiple aesthetic approaches to editing film and video. They learn how to apply concepts such as temporal continuity and spatial continuity, as well as less traditional discontinuous editing techniques to their work. Students study both the nuanced effects of editing on storytelling, and then apply them to their own films. The results allow students to apply the psychological and emotional effects of editing to their overall stories. Production workshop is designed to demystify the craft of filmmaking. Working alongside directing and acting instructors, students apply the complex techniques from class as they articulate the objectives of a given scene. This applies to the use of lenses, lighting, and editing. Students are also taught the critical significance of performance through acting classes, adhering to the philosophy that in order to direct actors, one must understand and experience acting as art and methodology. Students learn how to speak the language of acting, identifying a scene’s emotional "beats" and "character objectives" in order to improve performances. This course introduces students to the nuanced tools and language used in writing a film project. Students take a story from initial idea, treatment and outline to a rough draft, and finally, a shooting script. The intersection of story structure, theme, character, tension, and conflict is examined through detailed scene analysis. Students intensively workshop their ideas with classmates and instructors, providing constructive criticism while accepting critiques of their own work. Encouraged in the advanced methods of story design through visuals and action, the scripts they write become the basis for all projects in the first semester. Cinema Studies introduces students to the evolution of the motion picture art form as a visual storytelling medium and the motion picture industry from their inceptions. Students will be given a thorough creative, technological and industrial view of the filmmaking art. Students will be prepared for more advanced academic and production related studies and practice of filmmaking. The approach is historically developmental. Students will understand why a film creatively works or doesn’t work and why. The course considers primarily American film development though the impact of international filmmakers is given due analysis. This class further explores the aesthetic elements of mise-en-scène: shot choice, composition, setting, point-of-view, action of the picture plane, and movement of the camera. Students practice different approaches to coverage by breaking down scenes from their own scripts, and applying sophisticated visual approaches. This class also takes a comprehensive look at casting from the actors and directors point of view. Students are asked to identify character goals and dramatic beats, and translate this into effective casting and directing choices. Students learn to adjust character objectives through rehearsal of their own scripts. A strong emphasis is put on establishing believable performances. Under the tutelage of their instructors, students submit detailed proposals for their Year One Intermediate films. This class immerses students in the more advanced technical and creative demands of cinematography. Students work with more advanced 16mm cameras before transitioning to the Red Scarlet to continue studying HD cinematography. 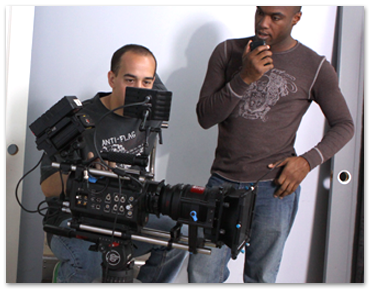 In addition, students complete the full range of camera formats in the 35mm filmmaking component. This intensive segment of the class is an opportunity for students to see how the wider frame and higher resolution of 35mm affects their shot design, framing, composition, staging, camera movement, lens choice, and lighting. Continuing where Editing 1 left off, students sync and edit with dialogue, and learn more advanced techniques in sound mixing and color correction. Students make creative discoveries as well when they compare the very different versions that are edited from the same material. This necessary training in cutting and re-cutting properly prepares them to undertake the challenge of picture and sound editing their Intermediate Year One Film. This class is an intensive workshop aimed at developing, writing, and polishing scripts for the students’ Year One Intermediate Films. Students critique each other’s screenplays through table-reads and engage in lively roundtable discussions of each work. In the process, students learn that even the masters rewrite their work many times over while developing sophisticated visual stories on the page. Producing I leads students through the entire process of pre-production, including scouting and securing of locations, permits, and casting. Students also learn how to make creative choices from the producer’s points of view, identifying target audiences, exploring audience expectations, and crafting realistic budgets for their films. Using script breakdowns, students learn how to plan and keep to a schedule and budget for their Year One Intermediate Film productions. Students start the third semester with a finished script of up to 15 pages, having fully developed their ideas and prepared the scripts for production. Working with instructors to develop a production schedule, students make final preparations on their film shoots, resulting in a production period that is as intense and demanding as a professional feature film shoot. They continue to meet with instructors in one-on-one advisement sessions to get feedback on their shooting script, casting, storyboards, floor plans, schedules & budgets. Each week during the production period, students come together with their Directing and Producing instructors to debrief on the most recently completed production and greenlight the next production. The greenlight process requires students to present a production notebook to their instructors, who will determine that the student is fully prepared creatively and logistically. Utilizing lectures, in-class exercises, outside readings, classroom discussions, and film viewings, this course introduces students to the craft of feature screenwriting. Topics will expand upon the short film techniques discussed in Screenwriting I and II, including Classic Screenplay Structure, Developing the Feature Film Character, Character Arcs, Dialogue, Theme, Conflict, Text and Subtext, Tone and Genre, Visualization, Exposition, Resolutions, and Scene Beats. By the conclusion of this course, students will develop a feature film script idea that will be fully realized in the second year of the MFA program. As students edit their own films, they learn that good sound improves the overall production value of their films. Receiving instruction in sophisticated sound design topics, students build Sound Effects, integrate Music and Orchestration, add Atmosphere, adding a polished sound mix to their Year One project. Through roundtable discussions with classmates, under the guidance of writing and directing instructors, students will begin to consider their second year Master’s Thesis projects. As they discuss the various Thesis Options available to MFA students, students will workshop their ideas. By the end of the semester, students will declare to a Thesis Committee which option they plan to pursue in second year: A) Directing a Short Film, B) Directing a Feature Film. This class is an exploration of art of film style and the process of directing performance. Students study the stylistic choices of great film masters, and then apply the same styles to an assigned scene. In the second half of the class, students are provided with a selection of pre-published texts, including plays, television scripts, and scenes from produced feature length screenplays. They workshop the scenes (both inside and outside of class) with actors from the MFA Acting for Film program and/or local industry professionals, and film them for a final class project. 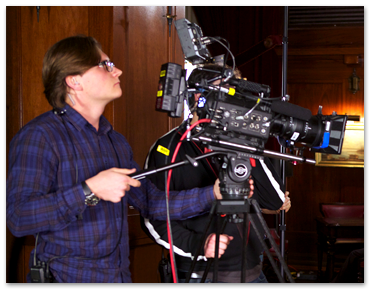 This intensive course expands students' knowledge of cinematography and introduces them to the full capabilities of the Red Epic Camera and complex grip and lighting packages. Students learn sophisticated and mastery of contrast, composition and camera movement, using professional equipment and shooting on a studio soundstage. In class, students will revisit the mise-en-scène project from their first semester, examining their maturity as filmmakers as they once again produce a one-minute scene in one shot, this time using the more advanced knowledge, techniques, and equipment available to them. Students work on more advanced concepts of scheduling and budgeting, and learn about the nuances of legal contracts, deal memos, and working with guilds and unions. Instructors use case studies to help students hone group problem-solving skills, a film industry must-have. Most notably, as they develop their thesis ideas, they will learn the craft of pitching their project ideas. Students will also meet with a thesis committee twice throughout the semester in the context of this course. The goal of this workshop is to fully immerse each student in an intensive and focused course of study, providing a solid structure for writing a feature film treatment and first act. Students will learn the craft of writing by gaining an understanding of story, structure, character, conflict, and dialogue. With strict adherence to professional standards and self-discipline, students will draft a feature-length script that will be further developed throughout the second year of the program. The focus of this class is for the master’s students to begin writing their short thesis scripts. Emphasis is placed on a more advanced understanding of character development and dramatic arcs as students prepare a story with greater depth and nuance. This course examines various facets of film narrative and filmmaking from a psychological perspective. Through case studies, students learn about the psychology of the filmmaker, and study their own approaches and recurring themes. The psychology of the audience is also explored, in relation to different genres, audience expectations, and viewer responses. Finally, by studying the psychology of the film character, students can enhance the depth of their own developing thesis films by adding layers of meaning to their characters’ behavior. An intensive examination of the visual style of film, this class helps students assess their directorial approach to their thesis films. Students workshop scenes from their thesis scripts, and prepare a thorough and detailed presentation of their thesis films. Students use these presentations at a thesis committee meeting where their projects will be given a final review by a panel of faculty. The ideas from Feature Screenplay I will be further developed into a full feature draft. Students work with instructors both in class and in consultation to complete the script, continuing to workshop ideas in class with their peers. Under the guidance of screenwriting instructors, students continue to workshop and polish their scripts through table reads, using rehearsals and scene exercises from other classes to lock their scripts in the weeks leading up to production. Production design plays an important role in the success of any production, as it provides the audience with the visual clues that establish and enhance the production content. Through lectures and exercises, students use set design and construction, costume design, prop choices, advanced aesthetics of color and shape to create the visual language of their thesis films. The final capstone project of the MFA program, the Thesis film combines all of the skills learned thus far into a single project of up to thirty minutes in length. 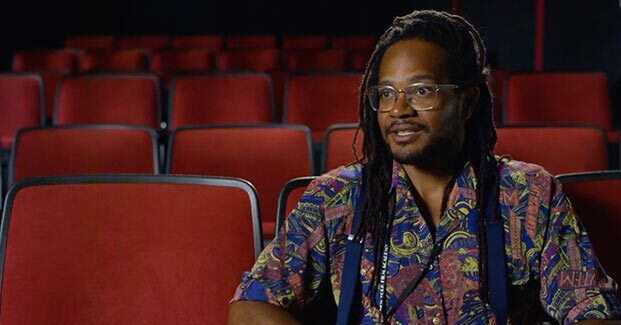 These thesis films function as the calling card project for MFA Filmmakers, enabling them to demonstrate their creative vision and professional skills to the world of film festivals and the larger community of the entertainment industry. These projects have the necessary equipment and longer production period (13 shooting days) to allow filmmakers to work on both a more detailed and nuanced level and with a larger scope. Each project is greenlit by the students’ directing and producing instructors, who evaluate the students creative and business choices as they are presented in each student’s production notebook. Prior to entering into thesis production, all candidates, regardless of thesis option, must pass a final evaluation by the Thesis Committee and faculty chair, ensuring that all academic requirements and standards for the previous semesters have been achieved. Every two weeks during the production period, students reconvene with their directing and producing instructors to discuss each production, and prepare for the upcoming projects. Students are required to participate as crew on three thesis projects: one in the semester in which they shoot their own thesis, and two in the other semester. It is often said that the edit is the final rewrite of the script and this class helps guide the student through that process. Extensive notes are received from classmates and the directing and editing instructors that must be analyzed and either incorporated, interpreted, or set aside. This process helps students to gain a more objective perspective on their material and edit that "final rewrite" more effectively. Using the drafts of their feature scripts, students lead table reads with actors and workshop scenes, further refining the idea as it develops into a more fully realized future project. The goal is for students to graduate with a feature script that will accompany their thesis films. Students also learn how to create marketing packages in order to create better fundraising opportunities for their feature. A broad cross-section of the film community is represented in this lecture series, exposing students to multiple avenues for pathways to break into the film industry. Mentors work individually with students to discuss the next step in their careers, and students are presented with a realistic yet hopeful vision of a future in the industry. Students begin the process of organizing their feature film productions. Students will develop a timeline for putting together their teams, including producers, key crew and casting principal talent. Students will assess crew needs by department, minimum budget levels needed per department to executive the filmmaker’s vision, and will determine the impact of the SAG Agreement on their intended budget range. Students will meet with the Thesis Committee twice during this semester. In a workshop setting, each student will develop and write the first draft of his or her feature screenplay. Students will learn the craft of screenplay writing by gaining understanding of and putting into practice the elements of structure, story, style, character development, conflict, and dialogue. Through in-class examples, students are introduced to effective pitching styles and instructed on how pitching skill. Students will develop a brief and effective pitch of the material they choose to pitch at the Producers Pitch Fest. Each student will practice and gain critical and fundamental pitching skills. Through lectures and analysis of case studies, students will learn the critical skills to develop effective feature film business plans and television show bibles. The feature business plan or television-show bible developed in this course will be presented at the Producers Pitch Fest. Feature film scheduling and budgeting practices will be introduced and explored in this course. In a hand-on setting, students will be trained on the industry-standard software used by producers and filmmakers, Movie Magic Scheduling and Movie Magic Budgeting. Students will learn to assess scheduling and budgeting factors when reading and analyzing feature scripts. Through in-class examples, students are introduced to effective pitching styles and instructed on the skill of how to pitch. Students will develop a brief and effective pitch of the material they choose to pitch at the Producers Pitch Fest. Each student will practice and gain critical and fundamental pitching skills. Through lectures and analysis of case studies, students will learn the critical skills to develop effective feature film business plans and television show bibles. The feature business plan or television shows bible developed in this course will be presented at the Producers Pitch Fest. Students analyze and discuss legal topics such as contract negotiations, marketing projects to financiers and distributors, and audience and research testing. 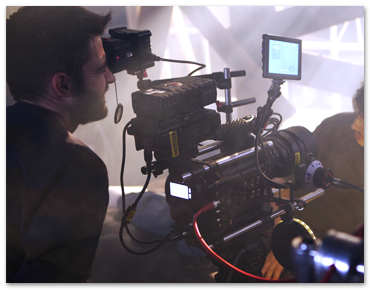 This intensive course expands students’ knowledge of cinematography and introduces them to the full capabilities of the RED Epic Dragon Camera and complex grip and lighting packages. Students gain sophisticated mastery of contrast, composition, and camera movement, using professional equipment and shooting on a studio soundstage. Students continue to organize their feature film productions and revise as necessary and execute the timeline for hiring their teams, including producers, key crew and cast. They research and explore payroll service options, the most suitable legal entity to form for their productions and insurance policies needed and their costs. Students continue to meet with the Thesis Committee twice during this semester and the remaining semesters. Students undertake a substantial revision of their first draft screenplays and complete their second drafts. Throughout this course, students will delve deeper into their stories, critically assess their characters’ development and motivations, and identify and find solutions for characters and scenes that are not effective. This course provides an overview of production budgeting and financial, cost and managerial accounting functions specific to the film industry, with application to other areas of media production, including television. Students analyze techniques and control procedures for accurate preparation and presentation of budgets and financial statements. Topics include budgeting, cost reporting and film accounting terminology. In this course, students analyze successful financial, marketing, and distribution models for independent films, focusing on micro-budget models. Marketing strategies, including viral campaigns and other low to no cost methods to development awareness of films will be discussed. Other topics include current and emerging distribution models, film festival strategies, and deliverables to prepare. Through in-class exercises and scene study of numerous classic, popular and obscure yet relevant films, students analyze a wide range of effective directing styles and techniques. Students will each workshop the construction and shot breakdown of one scene from his or her feature film. In this course, students further advance their development and fundraising efforts. Topics include monitoring fundraising milestones and back-up contingency planning. Students finalize production workflow between departments, including handling all pertinent paperwork required or generated during production and cash flow spending, authorization, and reconciliation. On-set and production office protocol will be addressed. Students will schedule and hold a full cast and crew production meeting, including a timed table read, cast and crew introductions, completing final deal memos and general discussion of on-set protocol. In this course, students finalize their pre-production and green light preparation. Topics include contingency scenarios for last-minute location changes and handling crew or cast scheduling or personality conflicts. With supervised set visits and daily review of production documents such as call sheets and production reports, students begin and complete principal photography of their feature films. Through weekly check ins during the production period, students debrief and troubleshoot the prior week’s shooting days and work through the upcoming week’s production demands. With supervised editing and post lab visits and regularly scheduled reviews, students begin and complete the postproduction phase of their feature films. Picture editorial, ADR and sound editorial and music scoring sessions will be discussed and analyzed. Through weekly check ins during the post production period, students de-brief and troubleshoot the prior week’s editorial progress and work through the upcoming week’s demands and deadlines. Final picture lock, sound mix, color correction and main and end titles will be reviewed. Two rough cut screenings will be held for the purpose of critical and audience feedback. Students will prepare the non-visual elements that are required of the producer/filmmaker in a distribution deal. Each student will learn the process of organizing a complete and detailed archive of his or her production for the purpose of delivery along with film to a distributor upon execution of a distribution deal. Topics include errors and omissions (E&O) insurance, final and prior cost reports, a detail of all expenditures including itemized petty cash tallies and receipts, pertinent production documents including all agreements, and the standard methods used to inventory these documents. Each student will make a short film of fifty seconds to one minute. This project emphasizes how the relationship of the subject to the camera creates drama. Students should tell a story that has a beginning, middle, and end. Students should pay close attention to their choice of lenses, distances, and angles. Since students will tell their story in only one shot, they should be sure the shots they compose express as much as possible about the characters and their actions. It is also important for students to thoroughly rehearse their films for blocking in order to get the most out of their footage. Continuity is one of the fundamental principles of modern filmmaking. By making a “continuity film,” students learn the way cuts can advance the story while sustaining the reality of the scene, and the difference between “film time” and “real time.” Students are challenged to make a film that maintains continuity in story, time, and space. The action in these films unfolds utilizing a variety of shots (10–15) in a continuous sequence (no jumps in time or action). In the Continuity Films, students must produce a clear, visual scene while maintaining the authenticity of the moment. It is essential that the audience believe in the reality of the scene. Students write, direct, shoot, edit, and screen a film of up to three minutes. Students should not shoot without thoroughly pre-planning the following elements: script, storyboard, script breakdown, production schedule, location scouting, and floor plans. As a group, students shoot a “pursuit” story told in “real time.” Students use multiple shots to establish a constant flow of action and time out their shots during filming in order to achieve a dynamic sequence. Students should be sure to utilize the basic principles of screen direction, rhythm, time, and space. This project will be created, designed, and produced as a group as a way to explore pacing through editing. Students choose one short selection of music then plan and shoot this film of up to four minutes with the music in mind. Students use montage-style editing to move the story or idea forward. Students may not use multiple songs on this project or edit the selection of music that they choose. Montage can be used to great effect in the compression of time and to create visual collisions or unexpected continuations between shots. In the editing room students should cut the images to work in concert with or in counterpoint to the music. Students should experiment with rhythm and pacing. In addition to storyboards, students may use a still camera for pre-planning their coverage. It can help them in the choice of locations, distances and angles, lighting, and compositions. Each shot in a film expresses a point of view, and in narrative film, the point of view changes often, sometimes with each new shot. For the most part, point of view—which is often called narrative stance—is largely invisible to the audience; though the accumulated effect of the changes profoundly affects the way the audience interprets any scene. Students create a short scene with minimal dialogue and no more than three characters that have conflicting objectives, while presenting the viewer visually with a clear and distinct point of view. Through experimenting with eyelines, framing, graphic control (composition and staging), and narrative control (often editing choices), the audience should have a clear understanding of which character’s story the filmmaker is telling. Each student will write, direct, and edit a short POV film of up to five minutes. These instructor-supervised productions occur regularly throughout the program. They are designed to complement and reinforce lessons learned in class. Production workshops may be filmed in the classroom, on location, on a studio backlot, or sound-stage depending on when they occur in the program. In earlier semesters, these exercises help the students learn the basic techniques of visual storytelling that will allow them to effectively express their ideas. Aligned with the curriculum, Production Workshop provides students the opportunity to practice with the tools and techniques they will use on their own film projects. As their program progresses into later semesters, these hands-on courses challenge students to interpret and apply the cinema theory and practice that they have learned in class to a series of sync-sound production exercises. Students shoot complex dramatic scene with the guidance and critique of the instructor. Students must determine what adjustments to make to their scripts and shooting plans before entering into production. These projects are expected to be fully pre-produced (storyboarded, cast, scouted, rehearsed, and pre-lit) and executed at a professional level. The Digital Dialogue Film will test a student’s abilities as a director to tell a clear and concise story in three acts, complete with an inciting incident, crisis and climax, and finally a resolution. Students write a script of up to ten pages in length and have up to 10 minutes of screen time to present their stories. All students must choose one of the six SSPW Scenes, present a director’s proposal (to the class, as well as a written 1-2 page document), and pitch their approach of the scene to their Directing and Camera instructors. During the pitch, students create excitement for the project by clearly defining their purpose/message, look/style, and logistics (where, when, how). After the pitching is completed, the instructors will green light the best proposals, as well as come up with a production schedule, assign crew positions, and assign cast. All students will be required to either direct, DP, or AD. This project is the culmination of the filmmaker’s work from the prior three semesters. Each student’s goal is to produce a fully realized short film that demonstrates his or her own artistic vision and point of view. Students work with larger crews and with more time allotted for pre-production, production, and post-production than the previous projects. Students prepare for this project with the assistance of all classes in the third and fourth semesters, which are specifically designed to guide students through the preproduction of this project. Detailed production books are prepared and presented, then the students receive a “green light” from the faculty in order to check out for their productions. Each student can choose to shoot this film in one of three formats—high definition digital video, 16mm film, or 35mm film. Students direct and edit a short film of up to 30 minutes in length, and fill essential crew positions on short form films directed by fellow students. The final capstone of the MFA program, this film combines all of the skills learned thus far into a single Thesis Project. These final films function as a calling card for the MFA Filmmakers, enabling them to demonstrate their creative vision and professional skills to the world of film festivals and the larger community of the entertainment industry. Filmed using the entire advanced equipment package that includes RED Epic Dragon cameras, HMI lighting, and industry standard dollies, these projects have the necessary equipment and longer production period to allow filmmakers to work on both a more detailed and nuanced level, and with a larger scope. Students direct and edit a feature-length film in a seventh semester of study at the end of Year Two, and fill essential crew positions on short form films directed by fellow students. Due to the extremely demanding nature of this thesis option, students must pass a rigorous review by faculty before being granted entrance into this track in semester three. This option requires that students enroll for a seventh semester with an additional tuition payment. In semester six, students must achieve specific milestones in order to maintain active status in the feature film program. If these milestones are not met, students will revert back to Option A and make a short thesis film in semester six. These milestones will include a clear template of delivery dates for script deadlines, casting calls, production meetings, budget breakdowns, location lockdowns, and a demonstration of financial responsibility to obtain approval to shoot. Students must receive a “green light” before beginning production on their feature film. MFA in Film Directing, California Institute of the Arts; BA in Radio/TV/Film, University of WI-Oshkosh. While teaching Film Directing, Film History, and Acting for Camera at NYFA, Art also is a freelance writer, producer, and director. He has produced commercials that have aired throughout Southern California, and his short films have screened around the country in such Oscar-Qualifying festivals as The Rhode Island International Film Festival, The Nashville Film Festival, and Palm Springs International Short Fest.